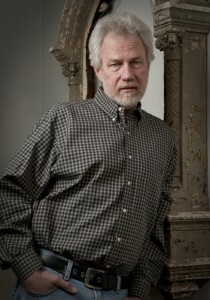 Robert Boswell is the author of eleven books. His stories have appeared in the New Yorker, Best American Short Stories, O. Henry Prize Stories, Pushcart Prize Stories, Best Stories from the South, Esquire, Ploughshares, Harvard Review, Colorado Review. “The Right Thing” was published in The Antioch Review while I was in my final year of the MFA program at the University of Arizona. The story is about a Vietnam vet trying to make his way in the world without being able to escape the past. When I was a counselor I worked with several Vietnam veterans. The story I tell in “The Right Thing” is not based on any story they told me; rather, it’s an attempt to understand the haunted feeling they described to me. The only part of the story that comes directly from one of them is a line of dialogue: “Does this sound like a whisper?” One of the vets asked me that while we were speaking. For reasons I cannot really explain, that line funneled me directly into the narrative. Reading the story now, twenty-some years after writing it, I am reasonably happy with it. I see a lot that I’d edit and change, of course, but the basic story seems fairly sound. The idea of the past and present existing simultaneously is an obsession of mine, and until just now, rereading the story after all these years, I had forgotten that it started with “The Right Thing.” Characters attempting to evaluate their lives in terms of right and wrong is another obsession. My command of craft has, perhaps, improved but the obsessions endure unchanged. Read “The Right Thing” on Fictionaut. Line Breaks is a regular feature in which accomplished authors introduce and share their first published stories with the Fictionaut community. Line Breaks is edited by Gary Percesepe. Brilliant story. The sense of timelessness, or time warped back into itself, slipping back and forth from one place to another, back and then elsewhere … makes you nervous. When it’s over, quiet, you can’t do anything but think. Best I’ve read in a long time. Thanks for bringing it here. I don’t know how you can make this any better, but if you do, post it again.